When it comes to urban sustainability, cities in the U.S. and Canada are employing innovative programs and policies to improve the health and well-being of residents and their local environments. 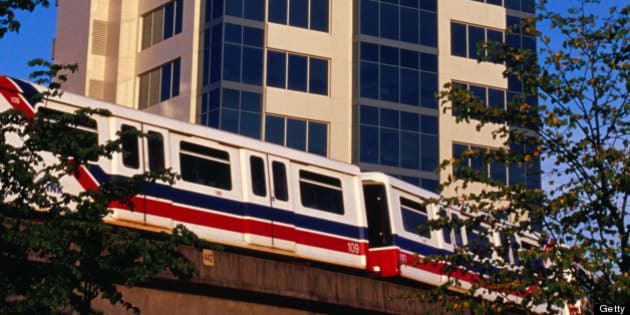 But (with some notable exceptions, such as Vancouver and Calgary) no successful rapid transit infrastructure projects have been built in Canadian cities for decades. New York City is world class, not just because it's a driver of global finance and a hotbed of cultural innovation; it's also known for its green spaces, like Central Park and the award-winning High Line. A recent survey of urban experts and other "city-builders" across Canada -- planners, municipal politicians, academics, nongovernmental organizations, developers and architects -- concluded the abysmal state of public transit is the Achilles' heel of urban sustainability and is holding many cities back from achieving greatness. Toronto residents spend more time battling congestion to get to and from work than in any other city in North America. This shouldn't be a surprise, as successive governments have failed to sustain and expand transit systems, even though the region has grown by about a 100,000 new residents a year. Toronto now scores 15th of 21 on per capita investment in public transit among large global cities -- well behind sixth-placed New York City, which spends twice as much. This failure to address transit infrastructure is serious. The Toronto Board of Trade estimates congestion costs the economy $6-billion a year in lost productivity. Fortunately, politicians are starting to respond. Ontario's government plans to spend billions to expand its regional transit system in the Greater Toronto and Hamilton Area, under a plan called the Big Move. It's also looking at new financing tools to ensure funding levels are adequate and continue into the future. But before we spend enormous amounts on improvements, we need to ensure projects contribute to a region-wide rapid transit network using the latest technology and adhering to the highest sustainability standards. They should also move the most people in the most cost-effective way. Numerous experts, including Toronto's Medical Health Officer, have urged the Ontario government to abandon its diesel plan in favour of electric trains that could be better integrated into a region-wide rapid transit network.